The course is assessed by a combination of practical and written tests, to access both knowledge and competency. On successful completion, you will receive a Certificate of Attendance in an Introduction to Inspection and testing of Electrical Installations. This inspection and testing course is based in Watford (London), however other venues are available. This course is suited to beginners and those looking for entry into the domestic electrical trade. 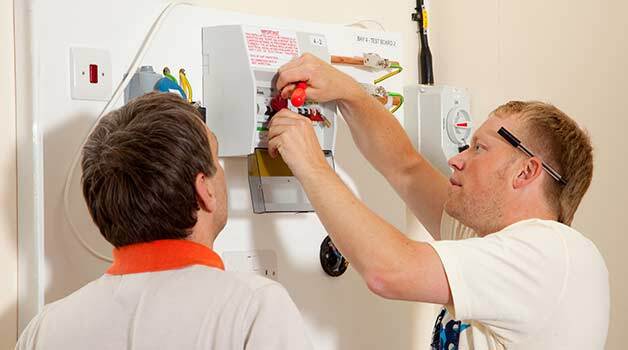 There are no pre-requisites to this electrical installations course, which makes it perfect for a novice or anyone wanting to do a taster to try out if the electrical trade would be a suitable career choice. For full details of useful reading resources look at our essential recommended reading page. The introduction to inspection and testing course for beginners introduces you to the fundamentals of Inspection and testing of electrical installations. This course is the second in a series of beginners electrical courses and is suitable for the novice. After completing both this course and The Basic Electrical course, learners can progress on to Part P training and other inspection and testing courses. These courses are both available at both the Watford venue and other venues across the UK. If you have any questions on this or any other course, contact us on 01642 987 978 for further assistance and information.